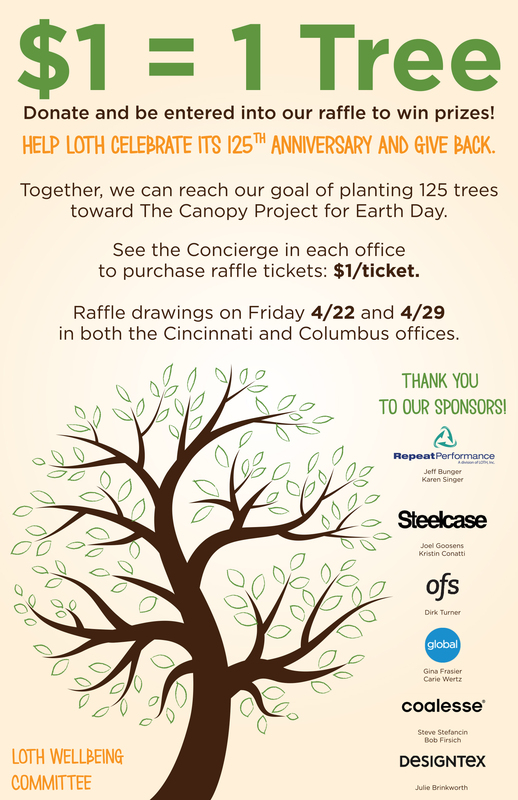 Giving Campaign - April | The Canopy Project - LOTH, Inc.
UPDATE: Both Cincinnati and Columbus LOTH locations raised over $125 each! 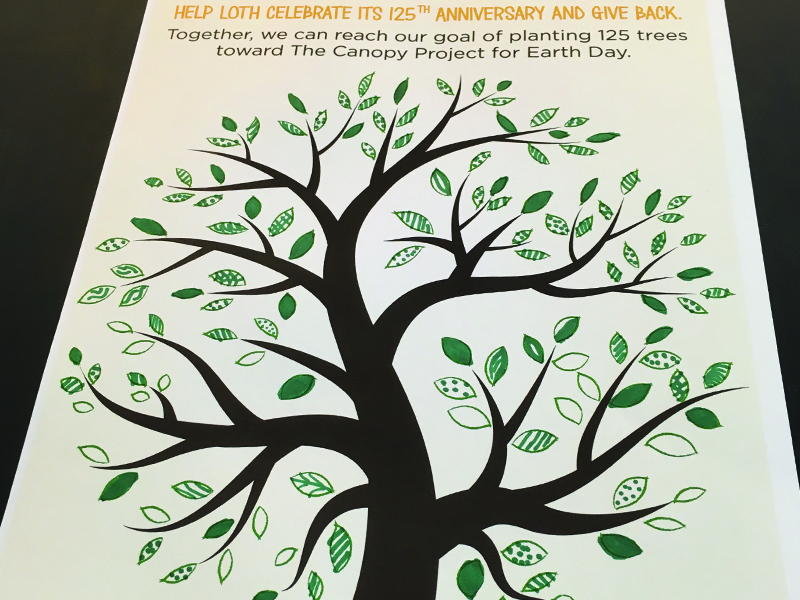 The Canopy Project is a charity run by the Earth Day Network, which has planted more than 3 million trees in 32 countries so far. 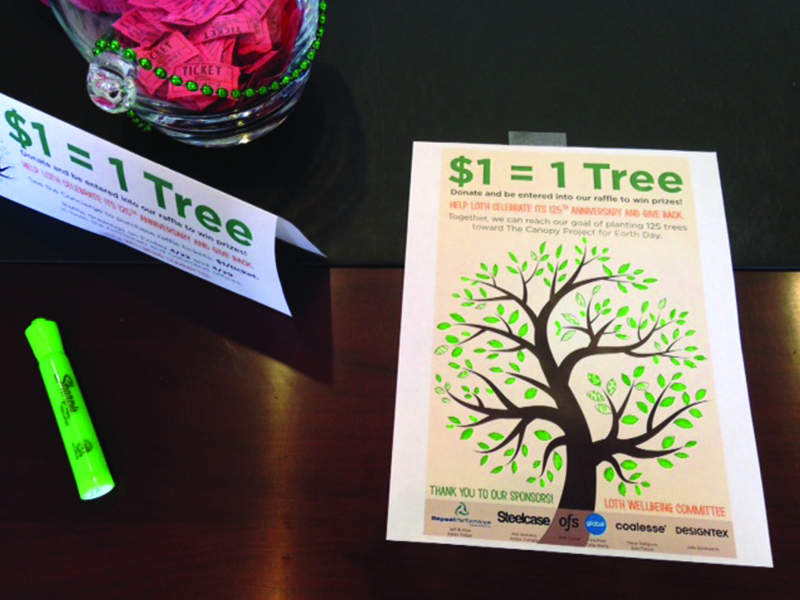 For every $1 they receive, they plant 1 tree! To tie in to LOTH’s 125th Anniversary, we have set a minimum goal of planting 125 trees. Both our Cincinnati an Columbus offices are participating and even though this initiative lasts through April 29, Cincinnati has already achieved their $125 goal a week early! Our generous vendors donated wonderful gift baskets and each employee that donates is entered into a raffle for a chance to win! Week 1 posters for each office: Leaves were filled in as donations were made. View our other projects for our 125th Anniversary Giving Campaign.